Re-Percussions: Our African Odyssey, award-winning Trinidadian film-maker Kim Johnson's contribution to this year's Caribbean Tales International Film Festival in Toronto, is a documentary masterpiece focused on Nigerian Chief Bowie Sonnie Bowei's journey to introduce and popularize steel drum, the musical instrument known as Pan, throughout his native Nigeria and across the African continent. That journey includes Chief Bowei's pained acknowledgement that African chiefs participated in the slave trade that forced millions of Africans into the sugar fields of the New World, the nucleus of the great Diaspora that has produced the music he has dedicated his life to. In one extraordinary scene, Bowei visits an historic barracoon, once a slave barracks, where his guide underscores the fact that slaves' lives were so grotesquely undervalued that one umbrella was worth forty slaves, one bottle of gin ten slaves. "Sometimes I am overwhelmed by anger and shame," Bowei confesses. He also wonders aloud: Do any African chiefs feel at least some slight guilt about what their ancestors did? 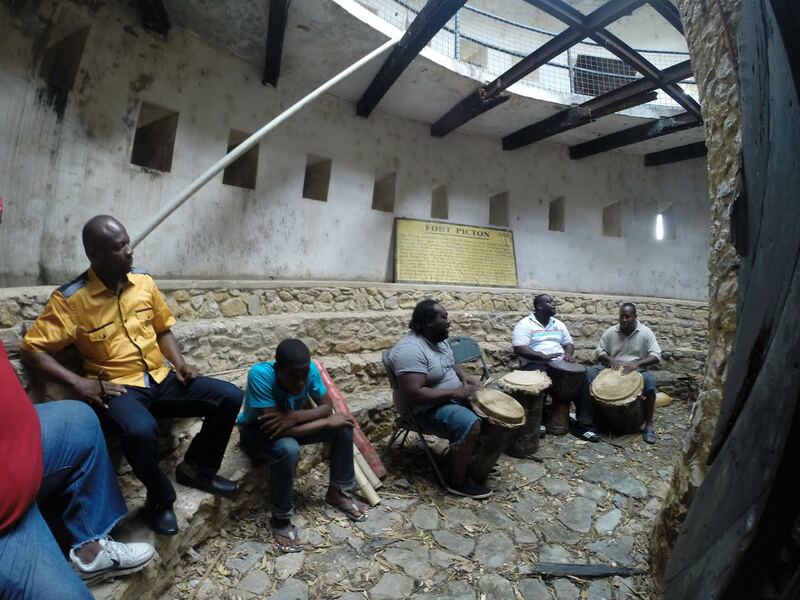 In Trinidad, where slaves improvised drums to play remembered music and alleviate their misery, their white overlords condemned drumming as noisy, monotonous and perhaps even demonic. And, because they also feared it as a potential tool to inspire rebellion, they outlawed it. But the slaves refused to relinquish the rhythms that gave them ``the physical and psychic strength to endure,`` and made music however and wherever they could. 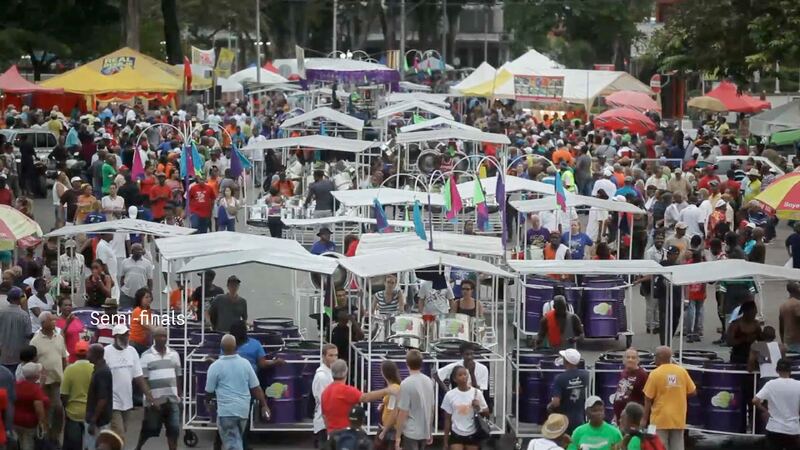 In 1877, an official commission banned the use of street drums in processions. Ever inventive, the revellers scrounged to find whatever they could use to beat - scrap metal and dust bins were popular - and before long, steel drumming was born. That, Bowei learns, is true Creole art - improvisation. 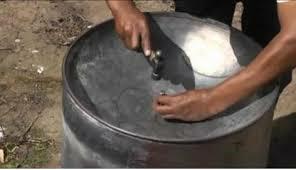 And that improvisation eventually led from dustbins to 55-gallon steel drums used in Trinidad's - and Nigeria's - oil industry. But steel can be used for more than drumming and Pan, as it is known, is a musical instrument capable of artistry as complex as any other modern music. As well, in Trinidad it is also a life form or movement that embraces politics as well as culture. These features, and its origins as the African Diaspora's special instrument, has inspired Chief Bowei's mission to bring Trinidad's unique contribution back to the ancestral homeland. "I feel destined to carry out the Pan movement in Africa, not just Nigeria," he declares. Bowei's introduction to Pan had more a prosaic origin: as a young soldier in the Nigerian Army's steel band, which played old-style tunes on unimproved old pans. "Soldiers follow orders, and that's how we played in the Nigerian Army Steel Band," he explains. From 1977 to 2001, the Nigerian Army Steel Band was also Nigeria's only one, with stale musical offerings that inspired no one. For Bowei, however, the story does not end there. By following Pan to Trinidad, he sees at firsthand the enormous possibilities, beginning with bands of 120 pannists who produced music of a grandeur and intensity entirely lacking in Nigeria's nine-man outfit. Bowei is also impressed by what Trinidadian professor Rawle Gibbons's describes as "the rooted links between Africa and Trinidad as far as Pan goes." Some of Re-Percussions' most amusing segments document the learning process of these reluctant students, girls and boys together, as they practice beating Pan and, encouraged by Bowei, realize that with skill and patience, they can reproduce their own kind of music, hip hop as well as folk songs. Costumed in traditional garb, exuberant and confident, they travel into the huge, unfamiliar city of Lagos where they perform so brilliantly that they win several categories in a music festival. But Bowei is keenly aware that the African steel drums he provides lack the rich and nuanced tones of Trinidadian Pans, specifically partial notes, and so he returns to Port-of-Spain to seek help from the world's best Pan tuners. One of these, Gabriel "Doyle" Robley, complains that Bowei is too hasty and does not take the time to truly understand how to tune a Pan. "The Middle Passage [the part of the slave trade where Africans were shipped across the Atlantic to the West Indies] tore off a piece of our living flesh," he says. Now the young Nigerian steel bands are bonded with the Diaspora and are full-fledged members of the international steel band community. "This is my steel band, my music, my song," Bowei murmurs in a moving finale. Re-Percussions is a visual and auditory feast, illustrated with historical and vintage images and a a scintillating background of music ranging from calypso to African "talking drums" to full-scale steel bands in full regalia. Bowei, Nigeria's foremost Pan entrepreneur and aficionado, is the perfect match for Trinidadian scholar/film-maker Kim Johnson, Pan's foremost historian, author of Tinpan to TASPO: Origins of the Steelband Movement 1939-1951 and The Illustrated Story of Pan, and the award-winning 2013 film, Pan: Our Music Odyssey.